Swirling patterns in blue, green, purple, and aqua batiks create the sensation of waves splashing against the shore. Instructions are for paper piecing, so all your points will come out perfect! 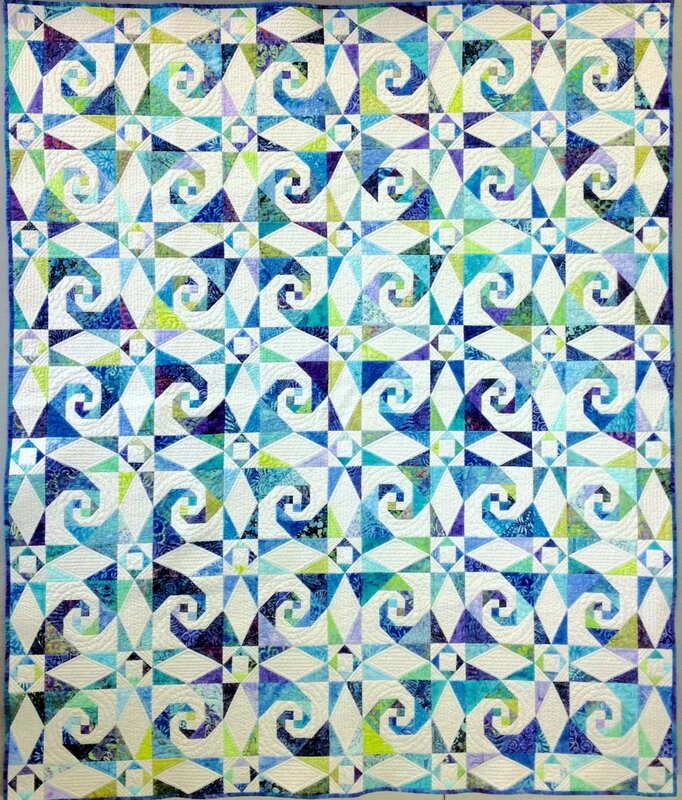 Kit includes pattern and fabrics for quilt top and binding. Finished quilt measures 57 1/2" x 66 1/2". Purchase 3 2/3 yards backing fabric separately. Make your quilt just like our cover quilt!